Beautifully appointed courtyard home with attention to all detail on the 3/4 acre corner lot. Rock waterfall surrounds the heated pool and spa upon entry to the home. 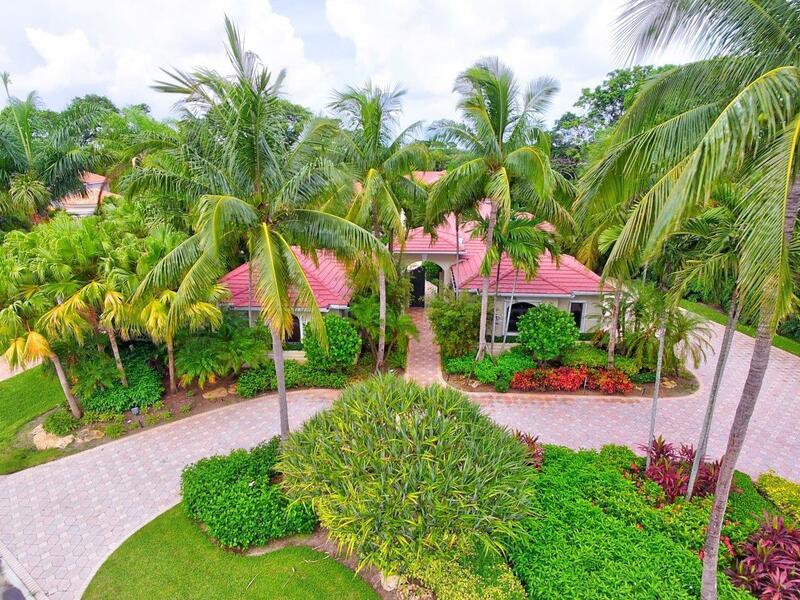 Open floor plan in main house with 18 foot ceilings with custom banana fans, marble floors with step down wet bar. Open granite kitchen with top of the line appliances renovated in 2012. Master has his and hers bathrooms with an expansive library housing custom built ins with wood and marble floors. Additional wing has two on suite bedrooms and a 5 car garage. Guest house is a double suite including a wet bar. A wonderful tropical setting as all open to the courtyard. Hurricane shutters throughout. Roof replaced April 2011, with 10 yr warranty. 4 zones of air conditioning. Seeing is believing this dream home! !